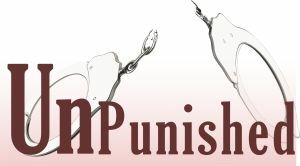 Punishment ? Required?…Our God is forgiving God…Please…. and he that speaketh lies shall perish. !!!!! Found only in Proverbs and Jeremiah !!!!! Read . . . . .‘condemn. . . .’ mentioned in the Holy Bible (KJV) . I am no preacher, but, am a prime sinner and living in this world in HIS mercy. For a sinner like me too, when I read “The Holy Bible” KJV, the following verses were given in the context of “unpunished…”.